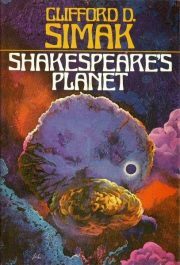 Clifford D. Simak’s 1976 Shakespeare’s Planet is a standalone SF novel. Carter Horton wakes from hibernation to the news that his starship’s long voyage in search of an Earthlike world has finally succeeded. Unfortunately, this quest took a thousand years in the ship’s frame of reference and even more in Earth’s frame of reference. All of his human companions died in a mishap centuries ago. His only remaining companions are his Ship’s mind and an obsequious robot named Nicodemus. Oh, and Ship refuses to head back to Earth on the grounds that enough time has passed to make their quest utterly pointless. 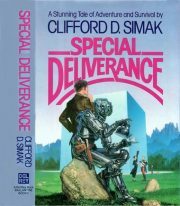 Clifford D. Simak’s 1982 Special Deliverance is a standalone SF novel. When a student hands in an atypically good paper with citations unfamiliar to Professor Edward Lansing, Lansing summons the student to his office for questioning. The student admits he did not write the paper. No surprise. What is a surprise is the source of the paper: a slot machine in the basement of the Student Union Building1. Of course, Lansing has to see this paper-writing slot machine for himself. The machine is terribly insistent that it has to provide everyone who activates it with a boon. When the machine’s dirty joke fails to amuse, it provides Lansing with two keys and detailed instructions. Curiosity gets the better of Lansing. In short order he finds himself in very unfamiliar territory. Clifford D. Simak’s City contains material written in the 1940s, material that wasn’t collected into book form until 1952. New interstitial material transformed it into something like a novel. While it didn’t win the Hugo2, City did win the International Fantasy Award. My copy is well-worn; I still regard it fondly, despite the fact that it would seem to be exactly the sort of city-hating SF I loathe. And the book isn’t exactly keen on humans either. But it has the Dogs and the Cobbly worlds, and apparently that’s enough for me. And for many other readers as well. 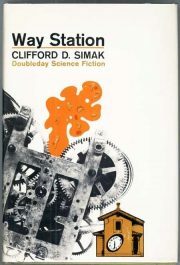 Clifford D. Simak’s 1963 Hugo-winning novel Way Station in many ways exemplifies the strengths for which Simak was known, as well as some of his characteristic weaknesses. 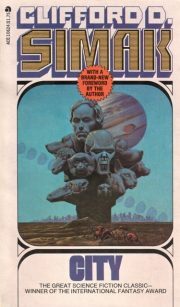 Way Station is also an example of something that is quite rare amongst Hugo-winning novels: it is very much out of print, along with most of Simak’s oeuvre, a development that has left it undeservedly obscure. I may not be able to place the book in your hands but at I least I can remind people it exists.